Heat oven to 450°F. Remove pie crusts from pouches; place flat on ungreased large cookie sheet. In small bowl, mix mayonnaise and salsa. Spread mayonnaise mixture evenly over each pie crust. Sprinkle half of each crust with half of remaining ingredients. Fold untopped half of each crust over filling; do not seal. Bake 14 to 18 minutes or until golden brown. Cut into wedges to serve. 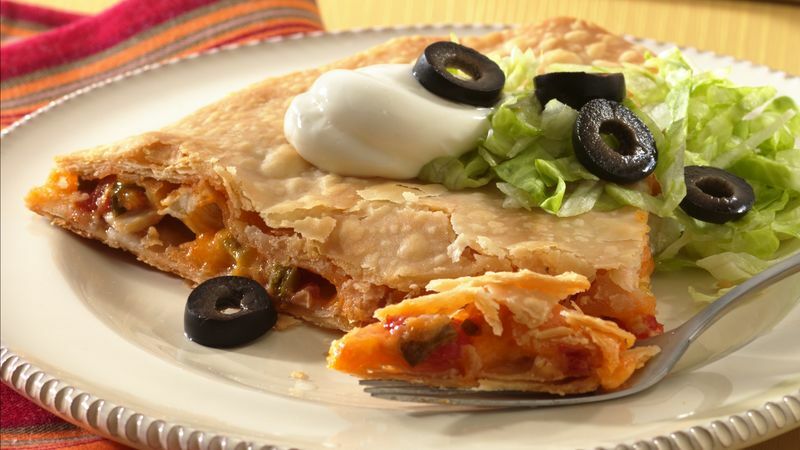 If desired, top with shredded lettuce, sliced ripe olives, sour cream and additional salsa.